Mark started his career as a graphic designer, before moving agency side in 1990 at Leo Burnett. 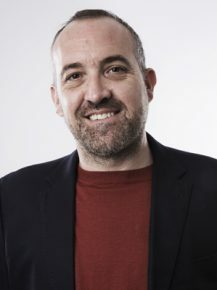 Over the next 10 years Mark was Head of Design at JWT, Euro RSCG and AMV BBDO, where he was promoted to board director. In 2003, Mark started an eight-year spell at Fallon London, joining as Head of Art before being promoted to Partner and Creative Director. Fallon was Campaign’s Agency of the Year in 2006 and 2007. Mark founded 101 in 2011 alongside Laurence Green, Phil Rumbol and Steve Waring. Before its merger with MullenLowe, 101 won two IPA Effectiveness Awards, was consistently the most shortlisted independent agency at the Marketing Society Awards and was named AdAge’s International Small Agency of the Year silver medallist in 2017. He lives in London with his partner and children, but regularly escapes to the country to avoid mobile signal and wi-fi.